The arrival of melons means summer, warm weather and lots of time spent outdoors. Melons are the perfect fruit to refresh and renew tired little ones who’ve spent long hours in the summer heat playing. It also happens to be one of the best picnic or barbeque foods; eternally loved by both young and old. A melon’s sweet yet calm flavor profile makes them an excellent addition to so many summer dishes both sweet and savory. Naturally they’re an easy addition to any summer meal plan. 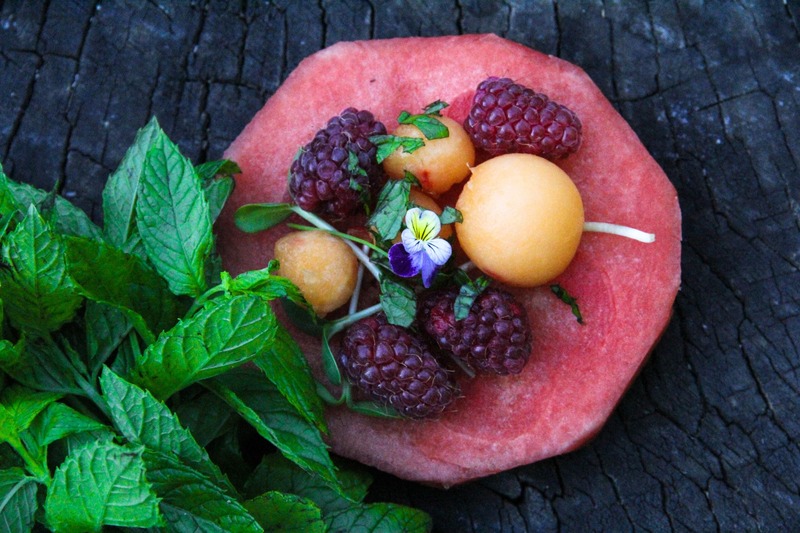 I love taking a few delicious melon dishes to outdoor gatherings, some that have more adult appeal and others that will be surefire hits with the younger crowd. The great thing about melons are their size. A couple good sized melons can easily give you three separate dishes; a chance to highlight the versatility of this wonderful fruit. Here are three easy ways to serve melon this summer. My three year old still isn’t a huge salad eater. There are a few salads he will eat but mostly he’ll give me a few pity bites and move on. The simple addition of fruit is a game changer for him though. He’s much more inclined to eat a few more bites of his greens if there’s fruit to be uncovered. 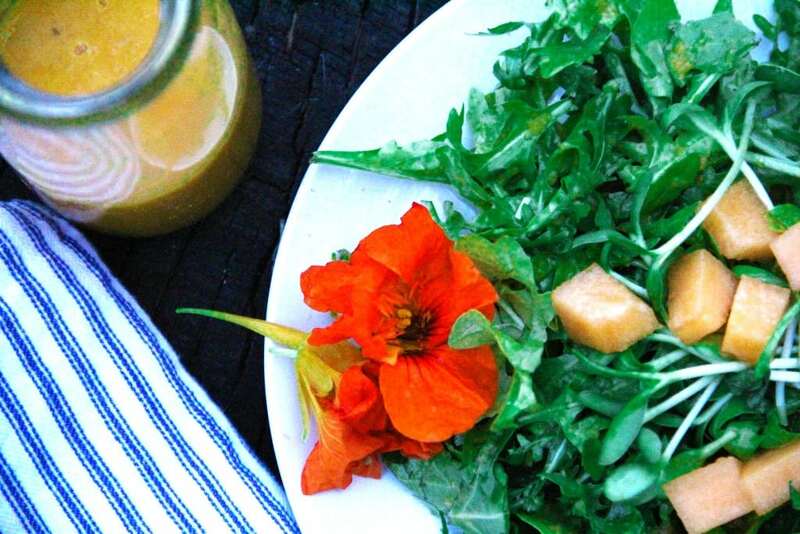 This deliciously fragrant cantaloupe dressing is a perfect partner to fresh summer greens. It’s an easy way to make use of the summer melon abundance and try it out in new ways. Cutting watermelons into circles will give you leftovers and what better use of a melon then in a nourishing and refreshing smoothie. 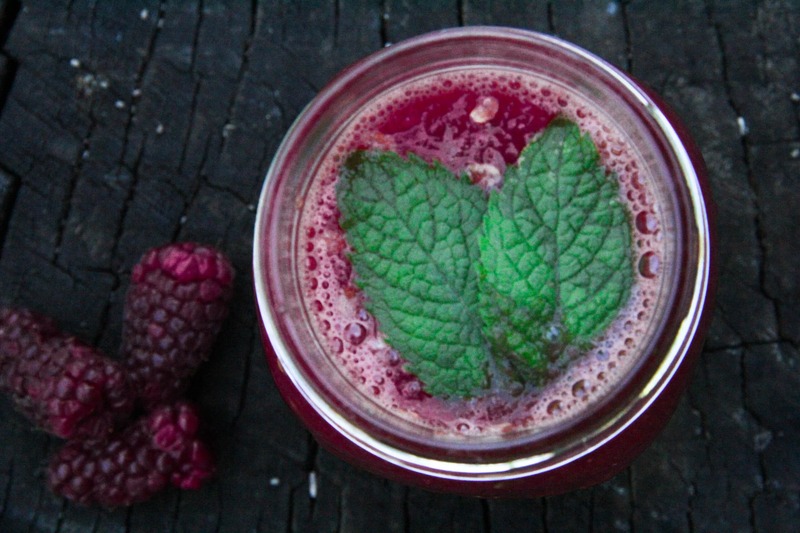 If you can’t find loganberries, use raspberries instead. It’s a great way to give kids some much needed summer hydration plus a blast of antioxidants, thanks to the berries. Kari writes at www.cookingwithtoddlers.org a blog dedicated to sharing the love of eating and cooking wholesome foods with little folks. She has two boys under three. 1/2 a regular sized Cantaloupe Melon or about 1 cup diced. Remove the seeds from the melon, dice and add to a blender. Add all the other ingredients with the exception of the poppy seeds and blend on high until everything is well mixed. 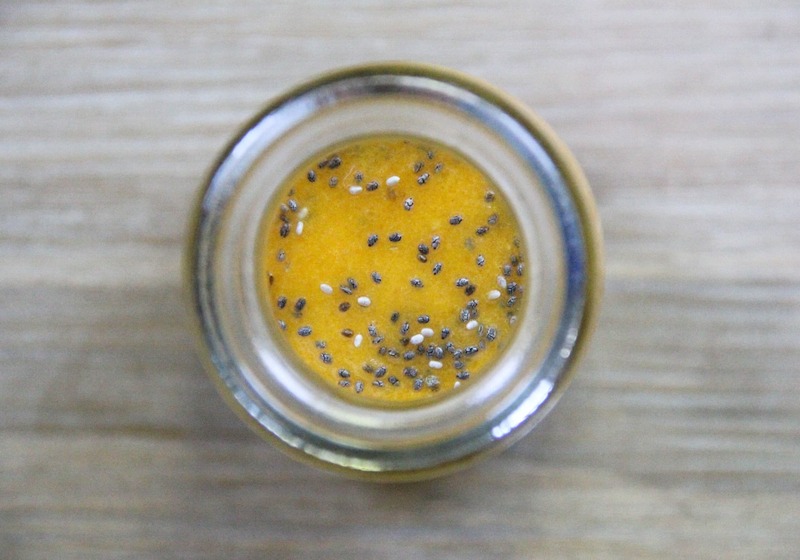 Mix in the poppy seeds to the blended dressing. Serve atop your favorite greens. Cut the watermelon in half. To form the individual circles, slice the watermelon in ½ inch slices width wise going from the middle to tip of the melon. Each slice will get slightly smaller as you work your way to the end of the melon. (The smaller ends can be used in the Watermelon and Loganberry Refresher. Depending on the size of the watermelon, you should be able to get between 4-6 good circles.) Remove the rind of the watermelon by cutting it off in small pieces. Once the rind is removed you can perfect the circular shape with a small paring knife. Alternatively, you can use a sharp circular cookie cutter to make the circles if you have one. Using a melon baller, form 7-10 melon balls and place on top of the watermelon circles. Garnish the rest of the salad with loganberry or raspberries, mint, edible flowers and sunflower sprouts. 1/2 a large seedless watermelon. 1 cup of loganberries or raspberries. 1 tbs coconut sugar, maple syrup or other sweetener of your choice( optional if your melon isn’t very sweet). Oh – sorry, showed up after refreshing the page. Nevermind!